Your department’s commitment to human rights must be consistent even if the victims are Muslim and the perpetrator is Israel. As Australians, we do not expect you to let your personal/ethno-religious predilections, as founder in 1977 of NSW Labor Friends of Israel, to prejudice your responses to human rights abuse. In what follows, it appears that your/your cabinet colleagues’ and the prime minister (Kevin Rudd has described himself as “passionately pro-Israel” and as having support for Israel “in his DNA“)’s closeness to Israel have made you take a soft stance on Israel’s human rights abuse, on the one hand, and issue strident public condemnations of Arab/Muslim nations for their violationson the other. I have been in correspondence with you intermittently for more than a year (since May 25, 2012) over the issue of your department’s diplomatic inaction over Israel’s systemic human rights abuse in Gaza and the Occupied West Bank –including the system of arbitrary detention and torture of Palestinian civilians including women and children without charge, trial and access to family, lawyers and medics. 3. Omitted to mention that ‘Israel’s last appearance’ referred to was in 2008! In other words, your department knowingly provided an answer to an Australian citizen with facts pertaining to 2008. 4. Has nowhere voiced its concern that, when every one of the UN’s 193 member states is obliged to participate in the Universal Periodic Review, Israel has abstained from the Working Group Periodic Review and thereby avoided scrutiny of its human rights abuse in Occupied Palestine. “Once bound and blindfolded, the child will be led to a waiting military vehicle and in about one-third of cases will be thrown on the metal floor for transfer to an interrogation centre. Given the extent of Israel’s systemic child abuse, you merely, in the course of your visit, ‘expressed concern’ but did not ‘condemn’ Israel. Your mild language and cheerful bonhomie, coming in the midst of a visit to Israel and vigorous physical expressions of affection with Israel’s leaders, may be seen as a nod and a wink by Israel. You ‘expressed concern’ only ‘over the detention of minors’ and not against the practice of administrative detention per se – the detention of political prisoners (including women) without charge or trial and access to family, legal counsel or medics. i. Israel’s child abuse: If you brought up Israel’s child abuse privately during your visit to Israel, why did you not bring the matter up before the UNSC? (Palestinian children have lived under Israeli military occupation for over 46 years. Since the outbreak of the second intifada in 2000, Israeli forces are responsible for the deaths of 1,397 children in the Occupied Palestinian Territory, including 1,031 in Gaza. From December 2008 to January 2009, in the offensive known as Operation Cast Lead, Israeli forces killed at least 353 children, including 26 kids in or near schools. At the end of 2012, during the most recent offensive in Gaza, 33 children were killed. Since 2008, DCI-Palestine has documented 73 cases where Palestinian children have been held in solitary confinement, sometimes for periods up to 29 days. They are repeatedly subjected to coercive interrogations and are denied access to their parents and legal counsel. Confessions or statements obtained by coercion or force, and in some cases written in Hebrew, are rarely excluded in the Israeli military courts, which maintain nearly a 98 percent conviction rate, according to DCI-Palestine evidence). Please contrast your silence with this statement by Alistair Burt, United Kingdom MP responsible for Middle East relations…..” Israeli representatives have outlined the various steps that Israel has taken to address the concerns expressed in this and other reports and to reduce the legal disparity between the treatment of Palestinian children and the treatment of children in Israel. These actions have included the creation of a special court for minors; a change in the age of majority; reductions in the length of time children can be held in pre-trial detention and in the period children can be held before being brought before a judge; and steps to grant parents legal status to be represented in court. ii. The Prawer Plan: The Israeli government is planning the largest single attempt at the ethnic cleansing of Palestinians since the 1948 Nakba. Even after receiving an online petition with 167 signatures calling on you to raise the Prawer Plan in the UNSC, you have sat silent. In contrast, Argentine President Cristina Fernandez, who is presiding over the UN Security Council this month, criticized on Tuesday, August 6, the veto power of the permanent Security Council members and how this power has been used to prevent the adoption of resolutions related to Palestine and Israel’s occupation. The Begin-Prawer Plan, which is the name of the law calling for the mass relocation of the Bedouin, passed its first reading in the Israeli Knesset on Wednesday, June 23. The Prawer plan is part of a historical drive by the Israeli government to prioritise and privilege Jewish settlement in the Negev while forcing Bedouin citizens – those who weren’t expelled in the first decade of the state’s existence – to live in approved zones and shanty towns. If the law is fully passed and implemented, it will mean the destruction of up to 40 Bedouin villages. Over the ruins of these villages, the Jewish National Fund—an Israeli para-statal organization with a charitable branch in Canada—will plant forests and help to establish Jewish-only settlements as part of its four billion dollar campaign: Blueprint Negev. These Bedouin Israelis are already the poorest sector of the population, many of whom live in villages “unrecognised” by the Israeli government and who are denied basic services such as electricity, schools and healthcare. At the same time, Israel is planning to evict about 1,000 Palestinians from their homes and villages in the South Hebron Hills in the West Bank to make way for a military shooting range — yet another gross violation of international law. Palestinians have lived in these villages for centuries. A. 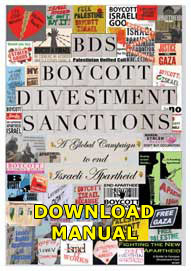 State of Denial about Israel’s Apartheid practices and human rights abuse: In your opinion piece, “No Plan B For the Middle East (The Australian, July 3, 2013)”, you go to great lengths to state: “The Palestinians must abide by the terms of the Gaza ceasefire of last November and end all rocket attacks on southern Israel,” but make no mention of Israel’s far more lethal attacks on Gaza, its sniper attacks on and use of white phosphorus bombs on civilians. i. Australia’s vote on UN’s Goldstone Report: Australia was one of 18 countries to vote against the United Nations Goldstone Report into Israel’s 2008/2009 brutal assault on Gaza at the UN General Assembly in New York on November 5.Australia’s opposition to the UN’s adoption of the Goldstone Report gives the strong appearance that impunity for war crimes is allowable for some. ii. 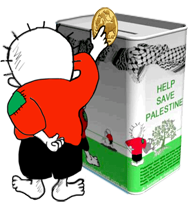 Abstention: In February 2010, Australia abstained from voting on a further resolution which requested the UN Secretary-General to submit a further report on investigations into violations of international humanitarian human rights law during the Gaza Conflict. C. C. Complicity in maintaining the siege on Gaza and the consequent humanitarian crisis: In the months that followed Israel’s brutal 22-day attack on Gaza in 2008-2009, Australia stood “almost alone” with Israel as one of only nine countries to vote against a UN resolution calling upon Israel to end its life-crippling blockade of Gaza even at the height of the resulting humanitarian crisis it caused. · In the Q & A programme on ABC TV, you have spoken out against, and I quote: “Sunni terrorism”. “Syrian Chargé d’Affaires, Mr Jawdat Ali was this afternoon notified of the Minister’s decision to expel him from Australia in response to the massacre of more than 100 civilians in the village of Haoula. Minister for Foreign Affairs, Senator Bob Carr said Mr Ali was advised at 4.30pm today that he and one other diplomat from the Syrian Embassy were required to depart the country within 72 hours. “The Syrian Government can expect no further official engagement with Australia until it abides by the UN ceasefire and takes active steps to implement the peace plan agreed with Joint Special Envoy Kofi Annan,” Senator Carr said. “This massacre of more than 100 men, women and children in Haoula was a hideous and brutal crime. “The Syrian Chargé has again been advised to convey a clear message to Damascus that Australians are appalled by this massacre and we will pursue a unified international response to hold those responsible to account,”. In contrast, we do not hear any public criticism from your Government of Israel’s human rights abuse/state terrorism/war crimes. 1) Extrajudicial killings and war crimes including both direct and indiscriminate attacks against civilians. According to the Palestinian Center for Human Rights (PCHR), approximately 724 individuals were killed in these extrajudicial killings carried out by Israel between September 2000 and March 2008; the victims included 228 civilian bystanders, of whom 77 were children. In 2007, Avi Dichter canceled a trip to Britain over concerns he would be arrested due to his involvement in the decision to assassinate Salah Shehadeh, the head of Hamas’ military wing in July 2002. Fifteen people were killed in the dropping of a one-ton bomb on Shehadeh’s house, including 9 children, and injuring dozens more. Extra-judicial executions are war crimes under international law. 2) The attack on Al-Daraj, a densely-populated residential neighbourhood in Gaza. He made the decision to carry out the “targeted” assassination with the knowledge that the so-called target’s wife and approximately 10 other civilians would be killed in the attack. The attack completely destroyed 9 apartment buildings and partially destroyed or seriously damaged 30 more. Among the victims of the bombing are Ra’ed Matar, whose wife, Eman Ibrahim Hassan Matar, and three children (ages 1 ½, 3 and 5 years) were killed, as well as his sister (10 years), niece (2 months), and grandmother. Mahmoud Al Huweiti’s wife, Muna Fahmi Al Huweiti, and their two sons (ages 4 and 5 years) were also killed. More than 150 people were injured in the attack, including Marwan Zeino, whose spinal vertebrae were crushed. He sustained injuries all over his body and remains unable to work due to mobility constraints and pain.The bombing of residential neighbourhoods is collective punishment. 3) Torture: From July 1, 2002, on the day the International Criminal Court was established, until May 2005, Dichter was head of theShabak, the Israeli intelligence service (GSS). As head of the Shabak, Dichter ordered the tortures of detained Palestinians – an activity explicitly prohibited under the Geneva Conventions, the Rome Statute and the International Convention against Torture. Torture is a crime against humanity. In contrast to Australia’s warm welcome to war criminals, former Israeli GOC Southern Command Doron Almog flew to London In September 2005 and found that a British police officer was waiting in the terminal with an arrest warrant. Almog remained on the plane and returned to Israel to avoid an embarrassing incident. For Australia to pass a motion in support of 60 years of ethnic cleansing of the Palestinians by Israel, particularly while Israel is involved in an illegal and brutal siege of the Gaza Strip, is a disgraceful violation of international obligations. 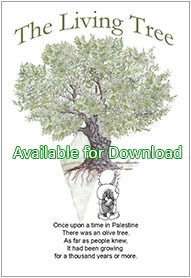 The motion condones Israel’s carpet-bombing of Beirut in 1982 killing 18,000 people, mostly civilians, and again in 2006, and its obliteration of Jenin and other West Bank areas in 2002. That motion also trivialises: (1) the 1948-’49 Al Nakba ethnic cleansing and genocide by Israel, (2) the consequent expulsion of and permanent consignment of 80 percent of Palestinians to squalid refugee camps and (3) an international commission’s findings that Israeli authorities or forces were directly or indirectly responsible for the massacres and killings in Sabra and Shatila which have been reported to have been carried out by Lebanese militiamen in the refugee camps of Sabra and Shatila in the Beirut area between 16 and 18 September 1982. For Prime Minister Kevin Rudd to praise “Israel’s commitment to the rights and liberty” of her citizens and “commend the State of Israel’s commitment to democracy” in the face of Israel’s appalling human rights record and imposition of Apartheid is a an act of utter political cynicism. G Endorsement of war crimes and crimes against humanity and a siege on an a people facing a humanitarian catastrophe: former Prime Minister Julia Gillard led a 40-member delegation to Israel within months of Israel’s commission of war crimes and crimes against humanity in Gaza during Operation Cast Lead. Finally, as Australia assumes presidency of the UN Security council this weekend, I appeal to you and your government to place your humanity above your ethno-religious predilections or Zionist ideology and place Australia on the right side of history. You must recognise the sanctity and dignity of all human life – including Muslim. I have attached a copy of this letter in Word format for your convenience.